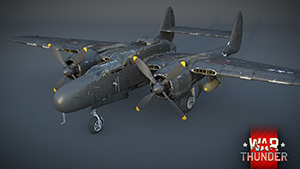 Created as a night fighter, the American P-61 Black Widow found itself adopting many professions in the war – and it was always good at them. 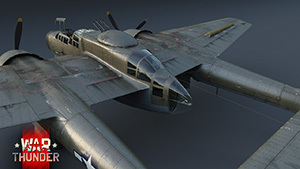 One of the most interesting American aircraft of the Second World War has arrived in War Thunder with Update 1.57! 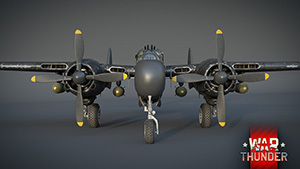 When it became clear that the US Army Air Force was lacking a night fighter, American engineers undertook to solve the problem with characteristic American enthusiasm. 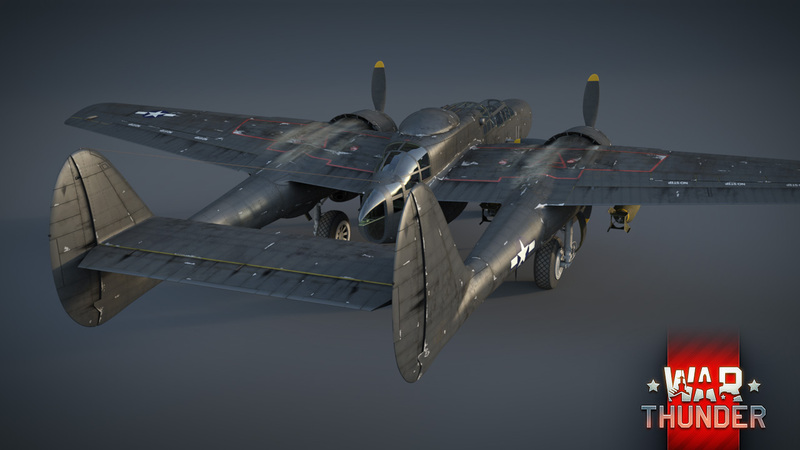 And so, the P-61 Black Widow night fighter was born – an incredibly advanced aircraft for its time, large, powerful, armed to the teeth and very expensive. 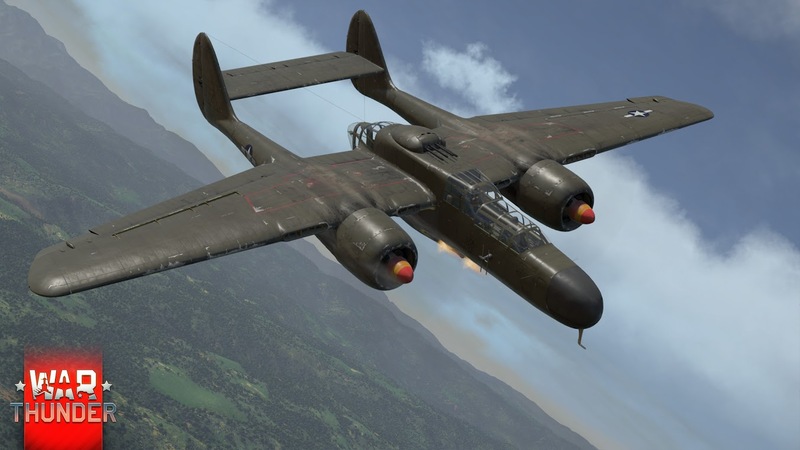 As it turned out, by the time the P-61 became available to the army, a night fighter was no longer required in the Pacific theater – the Americans had full control of the air, and the Japanese feared to fly by night. 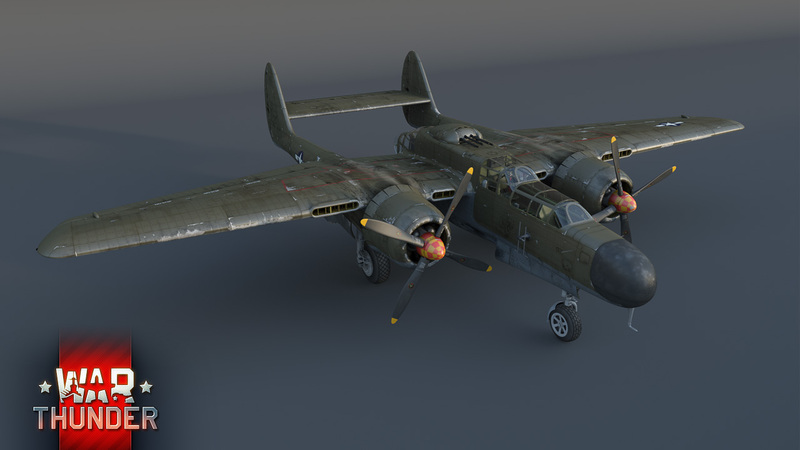 Here, the Black Widow proved to be an excellent support aircraft for ground troops and a good assault aircraft thanks to its incredible firepower and its ability to even carry bombs, rockets and barrels of napalm. 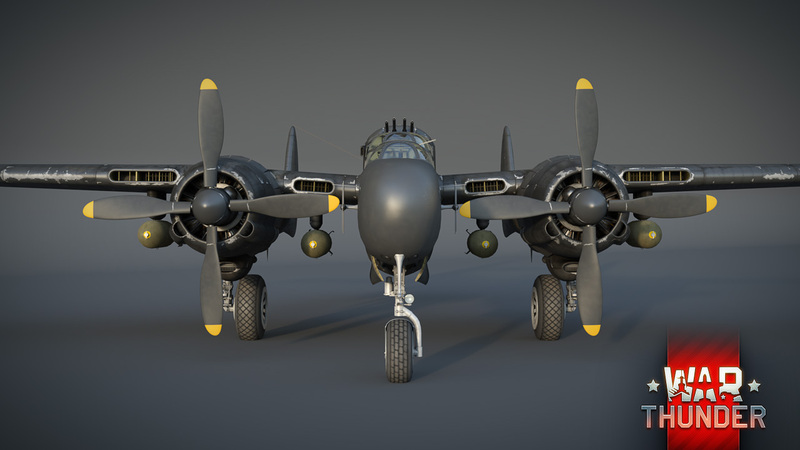 In Europe, the US’s new night fighter proved its excellence in its intended role and also as an interceptor (even the German V-1 flying bomb had met its match with it), and of course, again as an assault aircraft. 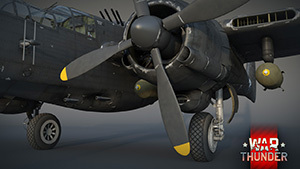 In War Thunder, the American “flying tank” is a rank III aircraft with powerful frontal weaponry (four 20mm cannons and four 12.7 mm machine guns), a solid frame, protected fuel tanks, the ability to carry up to four 1,000 lb bombs, and a highly curious turret with four Browning 12.7 mm machine guns, capable of attacking targets all across its upper surfaces. 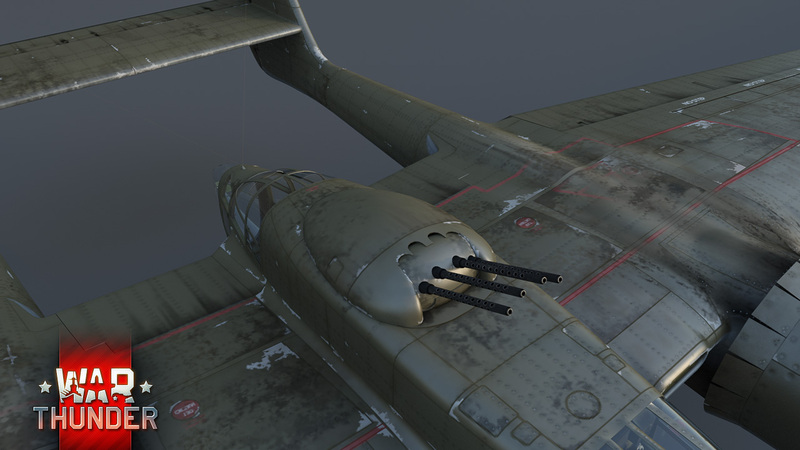 Incidentally, this turret could also be locked to shoot forwards, so the pilot could control it as a frontal weapon. In War Thunder, we plan to introduce this function a little later in the form of a researched modification. 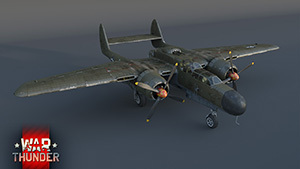 P-61A-1 – the early model of the aircraft in army livery. P-61C-1 – a night bomber with improved flight characteristics and black camouflage (the black paint scheme is what gave this aircraft its name, Black Widow). An air brake is installed in this model. The P-61’s appearance is highly unusual. 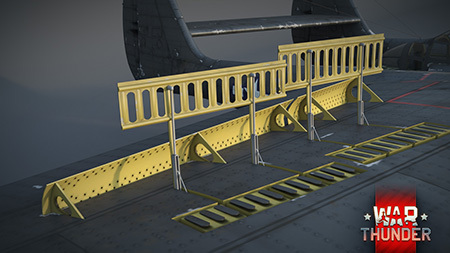 Its stepped cabin is somehow reminiscent of the cabin on modern attack helicopters. Note that the Black Widow model correctly duplicates the canopy framing of the cabin and the hatch through which the pilot and radar operator entered the vehicle. 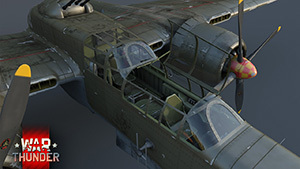 The gunner, who was seated in the rear of the fuselage, had an excellent panoramic view to the rear – our artists carefully recreated his cabin also in the in-game model. 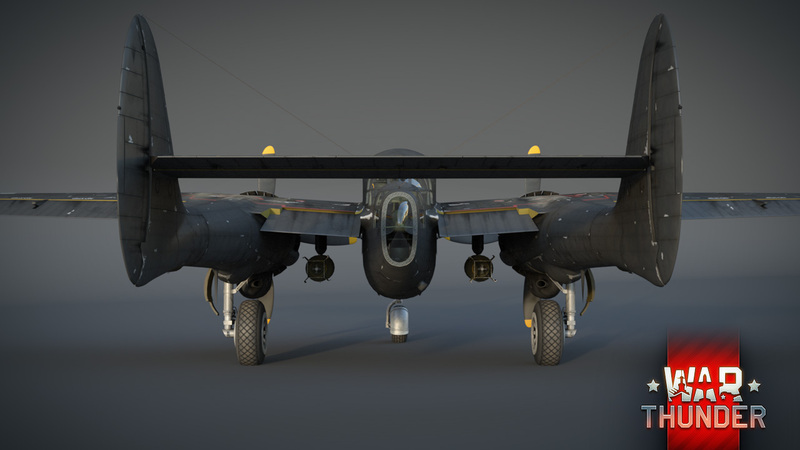 One of the unique characteristics of the P-61 is its spoilers, which move out from the wings upwards and, in practice, fulfilled the role of ailerons. The spoilers themselves and their animation were recreated in our in-game model. They are also fully functional in the aircraft’s flight model. 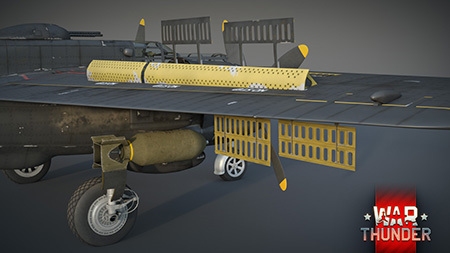 In short, the Black Widow is certainly an interesting aircraft, equally useful both in an air combat role and in mixed battles of War Thunder. Try out this American technological marvel of its time in War Thunder Update 1.57.